WALL, N.J., Oct. 6, 2015 /PRNewswire-iReach/ — Velocity Portfolio Group, Inc. today announced that it has earned the highly-regarded designation of Certified Professional Receivables Company (CPRC) after completing the comprehensive national standards contained in DBA International’s certification program. These standards have been recognized for exceeding state and federal laws and regulations through a series of stringent requirements that stress responsible consumer protection through increased transparency and operational controls. The CPRC designation is granted to companies who comply with rigorous uniform standards addressing such items as account documentation, chain of title, consumer complaint and dispute resolution, statute of limitation compliance, vendor management, credit bureau reporting, resale, and other relevant operational procedures. Individual Certified Receivables Compliance Professional designations are required for each certified company’s chief compliance officer. Compliance with the CPRC standards are monitored through independent third party audits as well as through a structured self-compliance audit process. 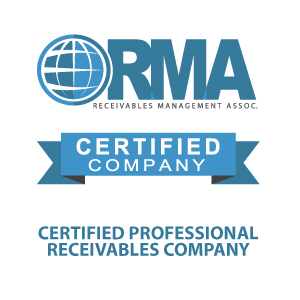 For more information about DBA’s Receivables Management Certification Program, or to download an application, please visit DBA’s website at www.dbainternational.org/certification. Velocity Portfolio Group was founded in 2004 as a comprehensive account receivables management company that combines its strong expertise in legal based collection solutions with sophisticated account management methodology, and a technologically advanced and compliance focused management system across its network of collection representatives located in all fifty states. DBA International (DBA) is the nonprofit trade association that represents more than 575 companies that purchase performing and nonperforming receivables on the secondary market. DBA’s Receivables Management Certification Program and its Code of Ethics set the “gold standard” within the receivables industry due to its rigorous uniform industry standards of best practice which focus on the protection of the consumer. DBA provides its members with extensive networking, educational, and business development opportunities in asset classes that span numerous industries. DBA continually sets the standard in the receivables management industry through its highly effective grassroots advocacy, conferences, committees, taskforces, publications, webinars, teleconferences, and breaking news alerts. Founded in 1997, DBA International is headquartered in Sacramento, California. All Velocity vendors are expected to adhere to the high business standards set forth in Velocity’s code of ethics.